Flipominos comes from Ultramegatronic. 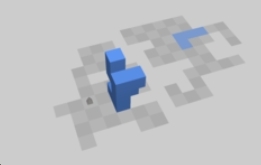 It's a rolling cube maze puzzle with lasers that turn on/off and restrict movement. 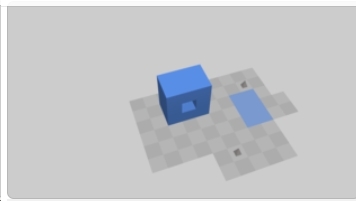 What's different is that the shapes are not 1x1 or 1x2 pieces. This game is quite good, but because there are over 4 billion levels, my urge to do even 100 is diminished. I've done about 40 levels. They start getting hard around level 20.